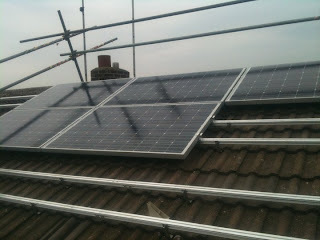 On the roof is the horizontal schuco mounting system, there are two rails per row of panels and 4 rows in total. 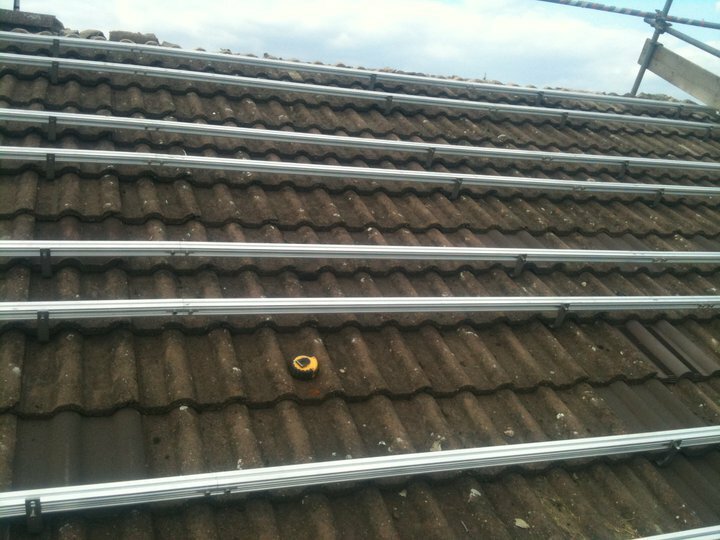 The panels used in this install are 12 x Del Solar D6M245B3A Panels which combine to make a array total of 2,940kwp. This should generate a yield of 2.4kwh per annum, which will make over £1,056.52 per year tax free and also considerable savings on the electric bill too. Located in the loft is a SMA Sunny Boy 2500HF Inverter that converts the Solar Panel DV voltage into mains AC voltage and sends it back down to the consumer unit via the generation meter. 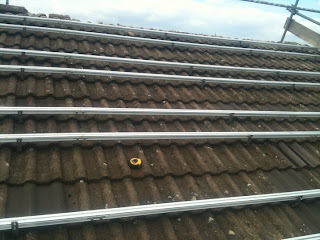 Also located here is a local AC isolator and a DC isolator used to isolate the solar pv array on the roof. 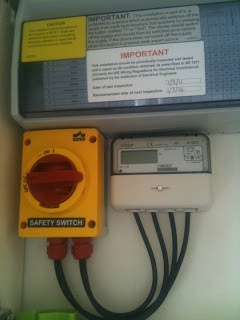 Main Ac Isolator and an Elster A100C ofgem approved generation meter mounted neatly underneath the consumer unit. The long road to gaining MCS accreditation !!! After several months of hard work implementing our quality management system and working closely with the NICEIC we are proud to announce we gained our MCS accreditation on 12/08/2011.